Nikon has manufactured the ACULON rangefinder, as well as many other of their optics, with a high-eyepoint design. 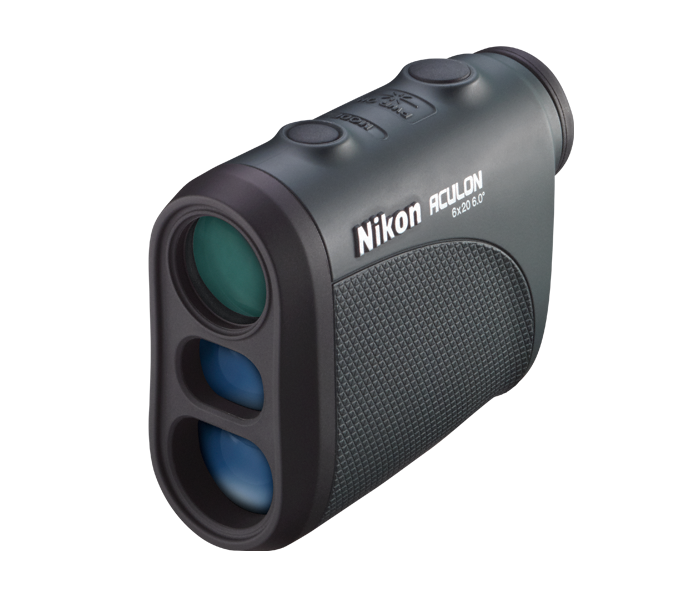 This provides a clear field of view for everyone even with sufficient space between the user's brow and the rangefinder. This provides a full field of view when ranging targets even when the user is wearing eyeglasses. The uncluttered screen displays ranges in 1-meter/yard intervals.